Allows you preview all OST file emails, contacts, calendars, task, notes and appointments. 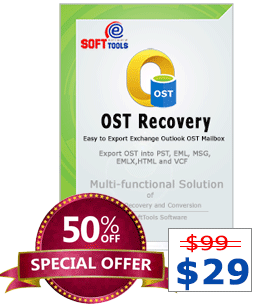 Convert OST file into several formats such as- PST, MSG, EML, EMLX, MBOX and vCard format. Convert encrypted password protected OST File to PST Outlook file. Demo facility- let users save 25 emails per folders into every format. Try Free OST to PST Demo version software for convert OST to PST free 25 items from every folders. 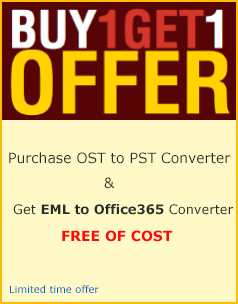 Free OST to PST is program that having so easy steps for recovery and conversion of damaged and inaccessible outlook OST File; users can download and install this Free OST to PST Converter Software without face any problem and browse any size of OST File to start process for free OST to PST Conversion. It auto detects all errors of outlook OST File and displays preview of outlook OST file contacts, calendars, emails, inbox items, outbox items, journals and other users mailboxes items. Its advanced features make it so different from another existing product in market and provide so many different features that satisfied users. Free OST to PST Software may be used by all persons who want to convert OST to PST Free. Well this free OST Converter Software never requires any special things to do and never require another third party application like- MS Outlook application, Exchange Server installation and so on. Without program all users can make use of this wonderful Free OST to PST Converter Software that widely used to repair damaged/ inaccessible offline outlook OST file and also convert the entire OST File data into PST Outlook file. Free OST to PST Software perform fast conversion of OST File to PST, MSG, EML, EMLX, MBOX, vCard and many more formats without sharing any information of your OST file. I am happy after using your free OST Converter Software without difficulty I used this and convert OST to PST Free with emails, contacts, calendars and other formats. Free OST to PST conversion Software provided me facility to convert only selected folders of my OST File and convert OST file to PST.